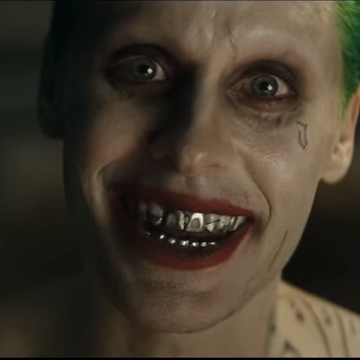 BREAKING: Watch the Comic-Con trailer for Suicide Squad! | The Cherry POP! ← Trailer Review – First Full Batman V Superman: Dawn of Justice Trailer Debuts! But what maybe perhaps the biggest dark horse of 2016 and the least known property, is Suicide Squad and if it’s not on your radar by now, it certainly should be. Directed by David Ayer who is responsible for End of Watch and Fury, the gritty action flick centers on a team of supervillains, who are forcibly recruited by government in order to pull off the most dangerous missions. Succeeding means redemption but failure means the death of a menace to society. There are: Deadshot the marksman, the crazy Harley Quinn, Australian hitman Boomerang, the enigmantic Enchantress, sword-wielding Katana, pyromaniac Diablo, the deformed Killer Croc, rope-master Slipknot and ex-military Rick Flagg. Ayer was disappointed after he found out the footage was secretly recorded and went viral after the Comic Con panel (this happens every year, surely it’s accepted by now…) but being the good sport that he is, Ayer released it for all to see just moments ago. The world’s most dysfunctional (and psychotic) team are assembled and it looks like it’s going to be one hell of a ride, will you be queuing up to see it opening weekend? This entry was posted in Film, Uncategorized and tagged Batman, ben affleck, Boomerang, Cara Delevingne, Comicbook, DC, Enchantress, film trailer, Harley Quinn, Jai Courtney, Jared Leto, Joel Kinnaman, Joker, Katana, review, Suicide Squad, Superhero. Bookmark the permalink.